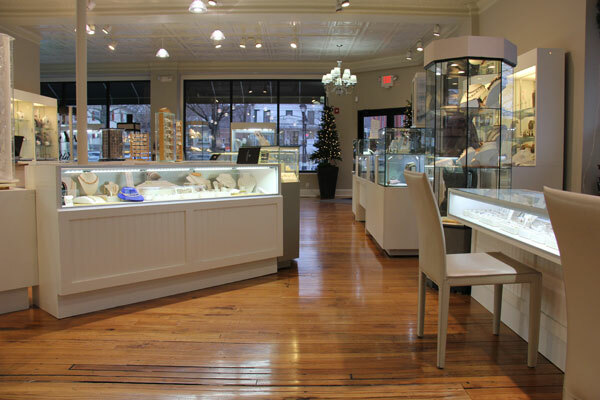 We are a family… a family of clients, associates and jewelry professionals all passionate about the design and creation of fine jewelry and the science of beautiful gemstones. 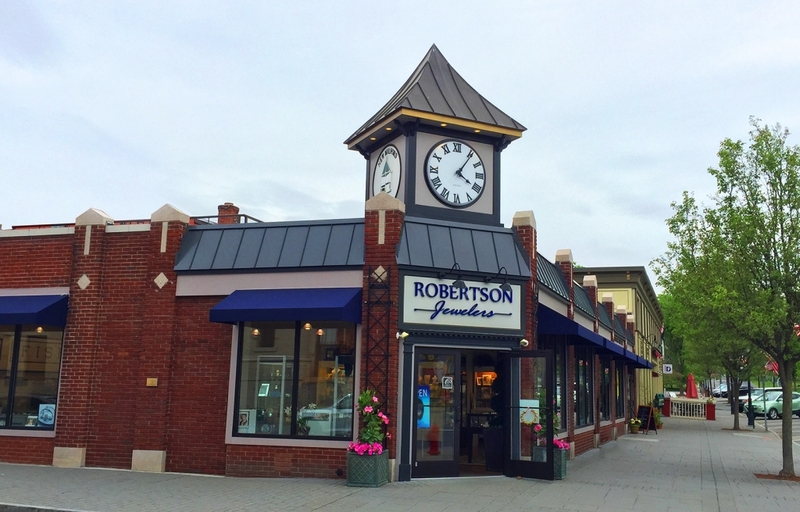 Originally founded in 1945 in New Milford Connecticut by Richard and Marie Robertson, Robertson Jewelers specializes in custom jewelry, diamond engagement rings, wedding bands, fine watches and gifts for the bride, groom, wedding attendants and parents. 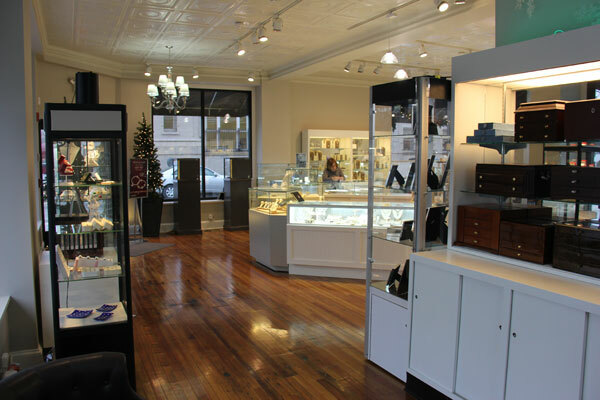 We design and create beautiful treasures in platinum, gold and silver incorporating diamonds, precious gems, and pearls. 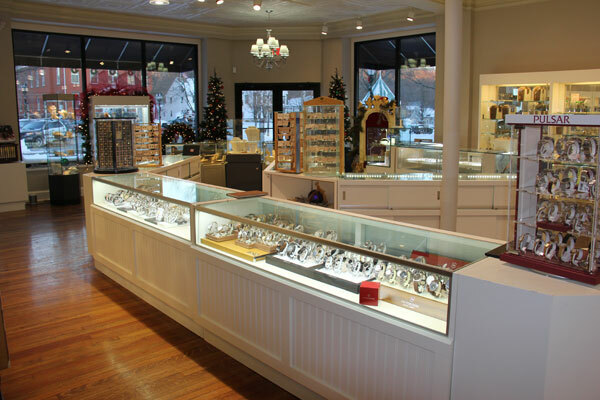 Our firm is composed of Brad Tranfield, CGA, the owner since 1975, a Certified Gemologist Appraiser and is the original bench jeweler and designer; Rich Macri, master goldsmith, designer, skilled CAD/CAM operator and thirty-year employee; jeweler assistant Edin who is also a collector of rare minerals and gems. Our store is overseen by Linda Herrmann and Kristy Miller-Spaulding both having decades of excellent customer service. The talented and friendly sales staff includes Carrie and Debbie. 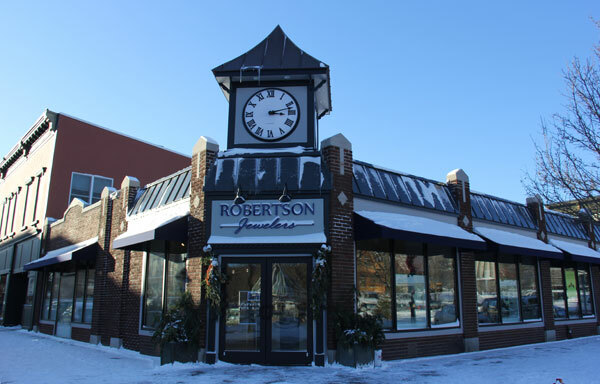 We employ a state of the art manufacturing and design facility allowing us to design, create, and manufacture quality jewelry at reasonable prices. Our Repair and Restoration skills are nationally known for both quality and value. As proud members of the American Gem Society, we maintain the highest standards in the industry regarding honesty, value and consumer protection. Our in-house AGS Accredited Gem Laboratory allows our Certified Gemologist Appraiser, Brad, the ability to accurately establish the correct identification and evaluation of your fine jewelry. Strange as it seems, it's the marriage of new AND old tech that allow us to make masterful creations and expert repairs at modest costs. Using laser welders, CAD-CAM mills, computerized engravers, sophisticated design software along with hand tools, critical eyes, and skillful hands we create, customize, and restore your treasures. Show your appreciation this Mother’s Day with our Mom Bracelet gift set. 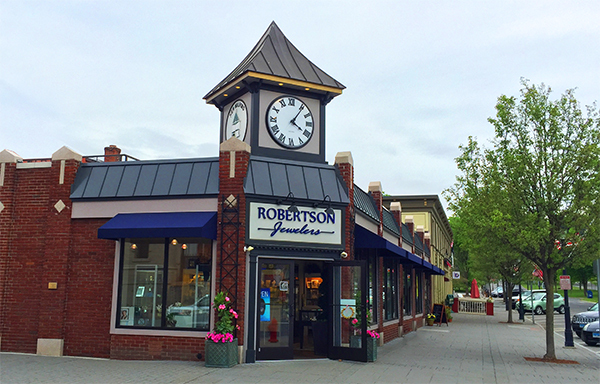 Visit us today and find the perfect gift.